That’s why we created The Ultimate Guide to Internet Speed and Connectivity. 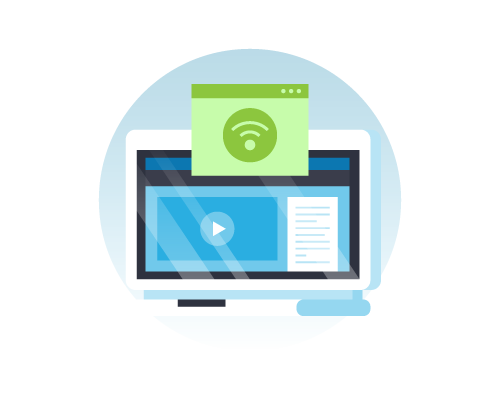 We’ll take you through what you need to know about the internet step-by-step, so you can troubleshoot your system and improve your slow internet. The internet speed test is your go-to tool that will help you through the process of measuring and troubleshooting your internet speed. The speed test can tell you the exact speeds that you’re getting at a particular time, which is the first step in telling what issues may be affecting your internet. 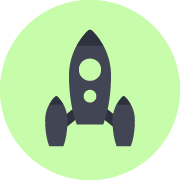 Performing speed tests is easy with Speedcheck, and the records of each test you perform will be conveniently stored so you can review them all later. Are you having internet problems? Are you dealing with slow internet, or web pages that take unusually long to load? There’s nothing more frustrating than waiting and waiting – and waiting! – for a page to load, or dealing with internet so slow that it’s actually lagging behind you. Luckily, an internet speed test is easy to perform, and can give you some ideas about what may be going on. We’ll provide some guidance about how to troubleshoot your slow internet connection, but let’s start with the most important tool: The speed test. 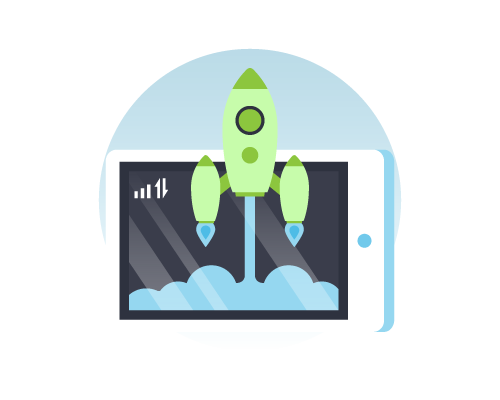 Internet speed tests are easy to perform, take just a few seconds, and are free to run with Speedcheck. Latency indicates the delay in the time it takes data to travel to its destination. Latency is measured in milliseconds, and generally speaking, any latency under 100ms is good. Higher latencies, such as those over 200ms, can cause delays when you’re doing activities like video chatting with people, and may make your internet appear even slower than it is. Download speed, measured in Mbps, indicates how quickly your device is downloading data from the internet. If your download speed isn’t fast enough to support the activities you’re doing, like watching videos or gaming, then it may seem that your internet is slow or delayed. Upload speed, also measured in Mbps, refers to the speed at which your device can upload data to the internet. Your upload speed affects how quickly large files, such as photos or videos, will upload. Your ISP contract will specify promised upload and download speeds, but you may not necessarily experience these exact speeds. In fact, your speeds may be far slower than the contracted speeds, which can affect your internet’s functionality and your ability to browse the internet. You may get those promised speeds during certain times of the day, but not during others. The only way to determine how well your internet is functioning is to run a speed test at different times of the day. You may see your service slow down during peak usage hours, then speed up again late at night or early in the morning when fewer people are online. In order to get a sense of what your internet speeds actually are, you’ll need to run multiple speed tests at different times of the day. With Speedcheck.org, all of your previous speed tests are recorded, so you can conveniently view the results all at once. For instance, let’s say that your ISP contract says you’ll receive download speeds of 50Mbps and upload speeds of 10Mbps. You run a number of tests and find that you get download speeds of 48.9Mbps and upload speeds of 9.4Mbps. Those speeds are perfectly fine, and are quite close to the promised speeds. However, if you run tests and find that instead of getting download speeds of 50Mbps, you’re only getting a download speed of 4.5Mbps, that difference will significantly impact your internet’s functionality and indicates that there is a problem somewhere within the system. 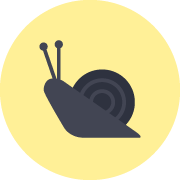 Unusually slow download or upload speeds can indicate an issue with your internet service provider, your connection, or may simply occur during a time of day when many people are using the internet. If you run multiple tests and find that your speeds are consistently slow, then this may indicate an issue that you need to address if you want to be able to browse the internet without delays, having to wait for pages to load, or running into buffering issues when watching videos. Understanding your internet speed is just one step in troubleshooting your slow internet. The more that you understand about the internet speeds you’re working with, the faster you’ll be able to determine what issues may be causing slow speeds or poor performance. From there, you’ll be able to fix your internet problems and improve the performance (and reliability) of your internet. But what is Mbps, exactly? And how do you fix your slow internet connection? Here’s some information you’ll need to know and some additional tools to help you speed up your internet connection. To troubleshoot your slow internet, you need to understand some information about the different internet connection types. From the different ISPs you can choose from to how internet speed is measured, here is the detailed information that explains how your internet works. We’ll also cover the differences in download and upload speeds, so you can use your speed test results to better understand how fast your internet is working. Let’s start with a quick overview of how the internet works, so you can understand what we’re trying to do as we troubleshoot your internet problems. Devices, like computers, cell phones, and tablets, connect to the internet through a number of different ways, including a wire buried in the ground, cellular connections, or even through a satellite. Once connected, the computers can talk to each other, and you can share and view information with others all over the world in just seconds. In order to connect to the internet, your device can connect through an Internet Service Provider (an ISP) or by using your mobile phone’s cellular data by tethering your device to the internet. When you tether a device with your cell phone, you essentially turn your phone into a mobile hotspot. Only certain carriers and plans allow tethering, and you need to be aware that using your phone as a hotspot will eat into your data plan. Mobile phone carriers such as Verizon, Cricket, and Sprint offer plans that allow for tethering. When it comes to your internet service provider, you can choose the company you use, much as you choose your mobile phone carrier. Common ISPs include Comcast, Cox, or Time Warner Cable. Different ISP providers offer different types of internet, such as dial-up, broadband, and DSL. We’ll go into more detail on that in a bit, since the type of connection you have will also affect the way that your computer or smartphone actually accesses the internet. Once you sign up with an ISP and your service begins, your computer will be assigned an Internet Protocol, or IP address. This address, which is made up of a series of numbers with periods in between, helps to identify your computer and all of your online activity. When your computer is connected to your ISP and you have your IP address (this is usually automatic, and isn’t something you have to generally worry about), you can access the internet, visit websites, send emails, and more. The problem is, if any one part of the system breaks, you won’t be able to access the internet. And if your internet speed is too slow, then even simple browsing can become tedious, or you might not even be able to access particular websites. Often, you won’t know what part of the entire system that makes up your connection has gone down. And that’s where the troubleshooting comes in. It’s important to realize that ISPs (internet service providers) don’t all provide the same internet service in terms of cost, download speeds, and upload speeds. All ISPs are different, so you’ll need to carefully consider the aspects that are most valuable to you. Remember, many ISPs require you to sign a minimum 2-year contract, so make this decision carefully – you could be stuck with your ISP for a while. While evaluating your ISP options, don’t forget to take some time to look up reviews of their services. Reviews can give you eye-opening information about factors like the reliability, technical support, and overall performance of an ISP that you might not otherwise know about. One of the most important differences between ISPs is the fact that they provide different download and upload speeds. These speeds have a direct influence on how well you will be able to browse the internet, and may be one of the reasons why your internet is so slow. 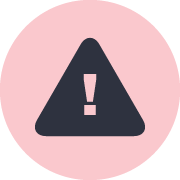 Availability – Before you do too much research on an ISP, make sure that the provider offers services in your area. You’ll find that ISPs only service particular areas, and some even only cover particular addresses within a town. Don’t rely on the coverage map that the ISP provides, since these often don’t go into detail about the specific services available at your address. Instead, take the time to call the provider and verify which services are available for you to choose from. Reliability – Research whether the ISP is known for having frequent internet outages. This can get very frustrating, especially if you rely on your internet for work. Plan options and prices – Most ISPs offer a number of different plans. Plans may vary in speeds and cost. Look at the options available and see if there’s an option that’s right for you. If not, check out another ISP. Contracts – Always read the fine print when considering an ISP’s contract. Most contracts require that you keep your service for 2 years at a minimum, and there can be steep fees if you discontinue your service before the period is over. You’ll also want to double-check the contract statements about the cost – some costs are only locked in for a certain period of time, and the cost of your plan may increase once that period is over. There’s another important factor in choosing your ISP: It’s the internet connection type that you want to have. To get a sense of what your internet speed is, you’ll need to consider how you’re connecting your device to your modem. Conventional Ethernet cables can support either 100 Mbps or 1 Gbps (1000 Mbps) speeds. Depending on how fast your internet connection to your ISP is, then either the internet connection or the Ethernet connection could potentially be a bottleneck. For instance, if you’re paying your ISP for a 500 Mbps connection, but you’re using a 100 Mbps Ethernet cable to connect to your modem, this Ethernet cable will slow your connection speed down to 100 Mbps, even though you’re paying for a faster speed. On the other hand, if you pay only for a 50 Mbps connection but you use a gigabit Ethernet cable, the cable will be overkill, because your internet speeds from your ISP are so much slower than what the cable can accommodate. You don’t necessarily need to use an Ethernet cable to connect your computer to your modem or router though. If your device supports WiFi like most laptops and smartphones, you can connect to the modem wirelessly with WiFi. In this case, you’ll have two connections: Your device connects to the modem via WiFi, and the modem connects to your ISP. Either of these connections could slow down your internet speeds. This means that you’ll need to make sure to choose a WiFi router that supports the speeds that your ISP delivers. Remember, too, that the distance that you’re located from the router can also slow your speed, so it’s best to have a router that supports at least twice the speed that your ISP delivers. This gets tricky, in that there is no one “good” internet speed. The speed that will work for you depends on many factors, including how you use the internet, the types of sites you access, and how much downloading and uploading that you do. For instance, if you browse the internet a few times a day to check your news sites, check the weather, and use your email, you won’t necessarily need the same speeds that an internet user who uploads many photos, watches Netflix daily, and enjoys online gaming will require. Your ISP may advertise particular download and upload speeds, but that doesn’t mean that your internet will consistently be available at those speeds. The factors mentioned above may slow down the speeds, so it’s important that you manually test your internet speed. Using Speedcheck gives you a real-time reading on the exact internet speeds that you’re getting. Speedcheck provides data on both your download and upload speeds, which is valuable information when troubleshooting your internet connection problems. With Speedcheck, testing internet speed takes just a few seconds. If you suspect that your speeds are dropping off during the day, then perform multiple tests. Speedcheck will record your results, so you can access and review all of them in the future in your history. Slower speeds can explain some common internet problems you may experience, and identifying that the problem is a speed issue can help you to troubleshoot the problems you’re experiencing. We’ve talked a bit about internet speeds, and by now you probably understand that faster speeds lead to faster browsing and a better overall internet experience. But when you’re troubleshooting a slow internet connection and find yourself needing to run an internet speed test, you’ll benefit from knowing a bit more about internet speeds and how they affect your browsing. When we refer to “internet speeds,” we’re actually talking about two speeds: Download speeds and upload speeds. Download speed refers to how fast your computer is able to download information from the internet. When you’re watching a video, loading a website (especially one that contains lots of photos), or downloading a document, your download speed is what dictates how much time each task takes. Upload speed, on the other hand, refers to the process of uploading content from your computer to the internet. When you upload a photo, document, or video to a website or email, your upload speeds affect the amount of time that it will take. When you’re browsing the internet, most of your activity consists of downloading, rather than uploading. Because of this, many ISPs offer packages that feature faster download speeds and slower upload speeds. The average internet user won’t heavily rely on upload speeds, but there are some people who do. For instance, if you work with large files, such as videos or photos, and frequently upload large amounts of these files, then you may need a service that offers a faster-than-usual upload speed. Your internet connection has a significant impact on how fast your internet will function. With so many different connection types to choose from, we’ve provided the highlights that you need to know to make an informed decision. But the internet connection isn’t all – you also need a router capable of handling the speeds offered by your internet connection. We’ve included some tips on choosing the right router for your needs so you don’t inadvertently slow down your internet. Remember how we explained that your computer can connect to the internet in a number of different ways? These internet connection types can also affect the speed and functionality of your internet service. Some ISPs offer just one or two of these internet connection types, so you’ll need to understand the pros and cons to each connection method. Dial-up was once the most common type of internet connection, though now it’s largely been phased out. Dial-up accesses the internet through your phone line, essentially dialing a phone number to “call” the internet. You have to use a modem, and dial-up is extremely slow. Additionally, you can’t use your landline phone while you’re using the internet. A digital subscriber line (DSL) allows you to use both the internet and the telephone at the same time. DSL is highly popular in cities, but you find it less in rural areas. It’s the most common option for internet today. With a cable connection, your computer accesses the internet through your television cable connection, rather than relying on your phone line. This means that you can use both the internet and the phone at the same time, and makes cable a popular internet connection option. Fiber optic connections are quickly gaining in popularity, because fiber optic is significantly faster than other internet connections. It’s growing in popularity within cities, but largely isn’t yet available in more rural settings. 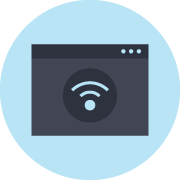 Wireless broadband connections, also known as WiFi, use a wired connection like DSL, cable, or fiber to send out radio waves between devices. This makes for a high-speed connection, and is used to create hotspots in libraries, restaurants, and other public buildings. You can, of course, set up your own private residential WiFi hotspot. With some of these connection types being faster than others, it’s important to choose the fastest connection type available in your location if you want to maximize your internet speed. Your computer connects to your ISP, and that gives it access to the internet. Pretty simple, right? Well, if you decide to use a wireless router to create a WiFi signal in your home or business, you add another level of complexity to the setup – and another place where things can go wrong, and you can slow down your internet. Still, there are plenty of reasons to use a wireless router in your home. Distance – The further away you are from a router, the weaker the connection will be. If you have a large house, you can install multiple routers to help with this issue. Obstacles – If there are walls or other objects blocking the path from your router to your device, your Wi-Fi range can be shortened. If you’re two or three rooms away from your router, the multiple walls may shorten the Wi-Fi range to the point where you can’t connect to the internet. Radio frequency interference – If you’ve ever been using the internet only to have the speed suddenly slow when someone turns on the microwave, you’ve experienced radio frequency interference. Because your router uses radio waves to send and receive data, anything else in the environment that also creates or uses radio waves – like your microwave – can interfere with your router and internet speed. If you need to buy a router, then you’ll need to choose the option that is right for your needs. Routers aren’t all made the same, and the router can actually affect your download and upload speeds, potentially slowing down your computer. Router speeds are measured in megabits per second (Mbps); the higher the rating, the faster the router. You’ll find routers with speeds ranging from 54 Mbps to high-performance routers that boast speeds greater than 1 Gbps (1,000 Mbps). How much does a router’s speed matter? Well, it depends a bit. Buying a router with a significantly low speed can slow your internet connection. However, buying a router that offers a speed greater than the internet speed your ISP provides won’t actually speed up your connection. In short, it’s best to buy a speedy router, but don’t think that investing high-performance routers will make your internet faster if your ISP doesn’t offer those top speeds, too. There’s another factor you need to consider when evaluating a router: the router’s technology standards. Wireless network devices, like routers, are measured according to technology standards. These standards are identified by the numbers 802.11, which are followed by a letter. The number and letter combination is used to identify the specific technology that the router uses, and this can indicate the speed range the router is capable of. 802.11g is the base technology that you’ll see in routers. It is a 2.4 GHz only technology. Because this technology is somewhat basic, these routers can only achieve speeds up to 54 Mbps. 802.11n is a step up in technology. This 2.4/5.8 GHz technology allows the router to achieve faster speeds, up to 600 Mbps. 802.11ac is a more advanced technology. This 5.8 GHz technology makes routers much faster, so they can reach speeds over 500 Mbps. If you want to assess your router’s suitability for your use, one of the best options is to read some reviews online. These reviews can provide insight to a router’s performance and speed. 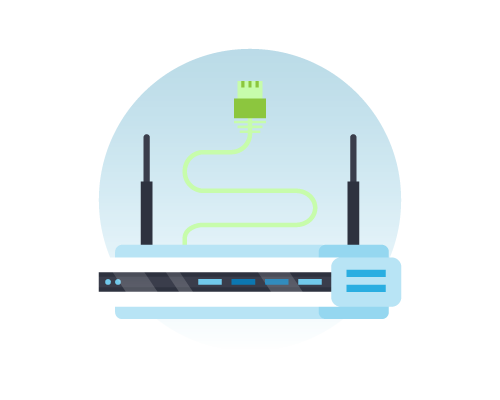 Generally speaking, it’s best to avoid the cheaper, lower performance routers, since they may have issues with low reliability and poor performance. We’ll go into more detail about troubleshooting your router later on. Chapter 4:Why is my internet slow? Slow internet isn’t just frustrating. The problem can get so bad that your internet barely functions at all. 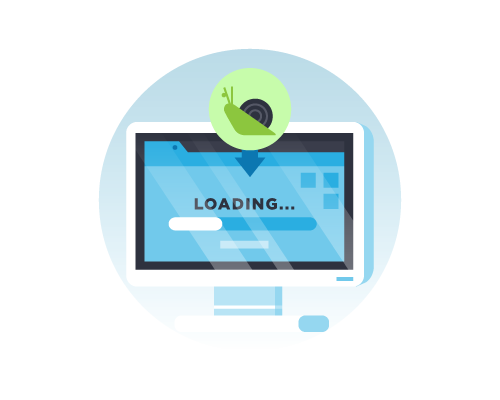 If you’re working with unusually slow internet, you may see problems like websites that don’t load properly or videos that take forever to buffer. Factors like your ISP, the time of day when you’re browsing, and the device that you’re using all affect how fast your internet is. Here’s a breakdown of some potential causes of slow internet. While you might think that your internet speed is just fine, there are other factors that can slow down your internet, leading to performance issues, slow-loading websites, videos buffering for minutes on end, and other potential problems. Your type of internet connection. Dial-up internet speeds differ greatly from the speeds you’ll experience with a DSL, fiber, or broadband connection. Some types of connections only offer limited speeds, so you’ll need to carefully consider your speed requirements when choosing the type of connection that’s right for you. Your ISP. Each ISP offers different plans that feature different upload and download speeds. The faster plans tend to cost more, but they can also make for a better, more reliable browsing experience. If you’re experiencing consistently slow speeds that are inhibiting your internet use, upgrading to a faster plan may improve the issue. Time of day. Internet speed tends to drop off during times when many people are all using the internet at once. This is a common issue during the workday. You’ll find that speeds tend to return to normal during times when internet use is less common, like late at night or very early in the morning. Websites with heavy traffic. The amount of traffic that a site receives can affect the internet speed you experience while browsing that site. Sites with heavy traffic can become slow and sluggish, and when they’re suddenly inundated with traffic, the sites themselves can crash, too. Unfortunately there isn’t much that you can do about this issue, except to be patient and revisit the site later. Your device. You may have a fast internet connection, but if your device, such as a computer, smartphone, or tablet is old, has a virus, or is a more basic model with slower processing speeds, then it will also result in slow internet browsing speeds. Upgrading your computer or trying out another computer on your home network can help you to determine if this is the cause of your slowed internet. Slow internet speeds can cause problems with your browsing. These issues can range from problems that will simply be aggravating, but if the internet speed is truly too slow, then your internet may barely function at all. If you notice these issues, you can be almost certain that your internet speed is too slow to support your browsing habits. 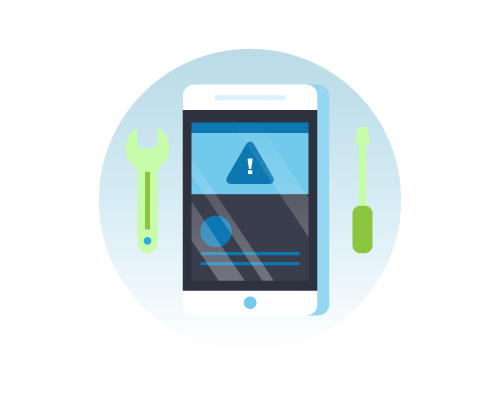 When your internet goes out, you can’t connect to a particular website, or the internet just isn’t loading well, you’ll need to do some troubleshooting to get to the root of the problem. 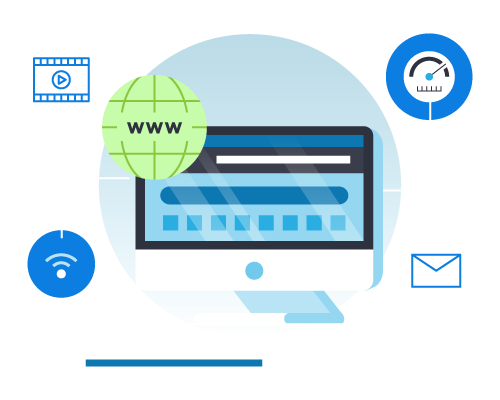 Because there are multiple working parts that create your internet connection, and because there are other factors, like internet speed and website functionality that may play a role, you really need to go through many steps to rule out potential problems. Here’s a step-by-step guide to troubleshooting your slow or non-functional internet. You’ll probably first notice an issue with your internet when you can’t connect to a website or access your email. Maybe the website takes an unusually long time to load, or you receive a message that the website cannot be reached. 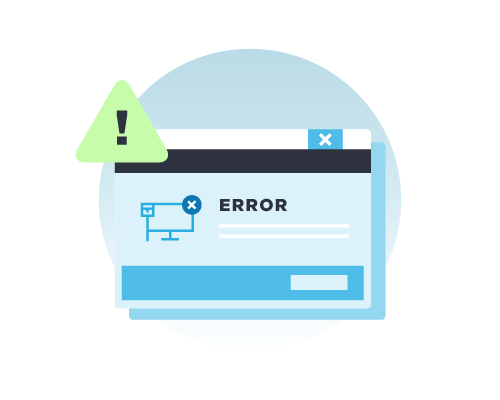 Before you start troubleshooting your internet connection, take a minute to make sure that the website itself isn’t down. Websites can and do crash, so start by double-checking the URL that you’re entering, and then visit a number of other websites to see if you run into the same problem. You can also go to downforeveryoneorjustme.com. This site allows you to enter a website’s URL and check to see if the site is actually down, or if you’re the one who’s having connectivity issues. If other sites aren’t loading, or you receive a message that no internet connection is available or the site cannot be reached, then you likely have an internet connection problem. To start off, you’ll need to make sure that your internet is properly connected to the computer. How are you trying to connect – via Ethernet, or via WiFi? If you’re using an Ethernet cable, then make sure that the cable is securely plugged into both your device and your modem. If you’re using Wi-Fi, then go to your device settings and view your network connections. Next, look for an indication that your computer is connected to a network, and that the network is available. You may see an error message of “No internet available,” which indicates there is a problem with the network itself, or with how your computer is trying to connect to the network. Disconnecting your computer from the network and then reconnecting it can sometimes solve this issue. If you still can’t connect to the network, you’ll need to check your computer or device’s IP address. You actually have two IP addresses: One that identifies your device with your modem or router, and a second one that identifies your modem on the internet. When we talk about identifying your IP address, we’re referring to the local IP that identifies your device to your modem or router. Wondering, “What is my IP?” That’s okay – it’s pretty simple to look up. To check your device’s local IP address, go into your Settings. Next, choose “Network or WiFi,” then select “More Information” where you will see your IP Address if you’ve been successfully assigned one by the modem or router. Check to make sure that your IP address is valid. The address should read as a series of numbers separated by periods, such as 192.168.1.104 or 10.0.1.8. If your address reads 0.0.0.0, this indicates an invalid address. You will need to renew or reconfigure your IP address in order to connect to the internet. Just how you do this process will depend on your type of internet network. If your router isn’t connecting to your modem or to your internet, your computer won’t be able to connect, either. Start by checking all of the wires on your router to make sure that they’re securely plugged into both the router and the modem (if your router and modem are separate). Next, take a look at the lights on your router and modem. A red or yellow light, or a light that’s unlit entirely may indicate what the issue is. Now, unplug your modem and then plug it back in. This helps to reset the system and can sometimes solve connectivity issues. If you still can’t connect, then unplug your router and then plug it back in. If you have another router handy, you may try swapping it out to determine whether your old router is the issue. Still can’t connect? Try hard wiring your laptop directly to your modem using an Ethernet cable. You may also want to try to connect other devices, like a tablet or phone, wirelessly. If you’re able to connect other devices but can’t connect your computer, this could indicate an issue with your computer’s wireless card, or with your computer’s settings. However, if you can only connect your computer by using the Ethernet cable, this suggests that there is a problem with the WiFi signal created by your router. If you still can’t connect your computer or any devices using the methods above, then it’s possible that the problem may be an outage with your ISP. Give your ISP a call and explain the problem. They should be able to tell if you if there is a current outage in your area. If your internet is provided via a satellite connection, your internet troubleshooting can be a little more complicated. Satellites can be affected by rain, snow, and even dense cloud cover. If the internet goes down while you’re experiencing bad weather, it’s likely that the weather conditions are to blame. You may want to also check your dish for obstructions and clear away any snow that has accumulated. As frustrating as it may be, you’ll really need to wait until the weather improves before effectively troubleshooting your satellite internet. You may find that the internet simply returns as soon as the weather improves. Your ISP may also be able to provide you some information about outages in your area if you call. If you’re dealing with a slow internet connection, these tips can help you to diagnose what may be causing it, and to determine how you can speed up slow internet. Perform multiple internet speed tests throughout the day. Speedcheck automatically records the results of each test, so you can easily review all of the results in the future. These internet speed tests can help you to monitor and understand the actual speeds that you’re dealing with. If the speeds are too slow, then upgrading your internet service plan or purchasing a new router may help. Assess your router. Sometimes, a slow or faulty router can cause slow internet speeds and connectivity issues. Make sure that your router isn’t old or outdated, and that it offers the speeds that you need. Try substituting in another router, if you have one, to see if it makes a difference and speeds up your internet. Reduce the number of people on your network. If you have multiple people and multiple devices all accessing the internet through your one home network, this drain on the internet can slow the speed down. When used simultaneously, phones, tablets, and computers require greater speeds than you might need if just using your computer. Try to reduce the number of devices in use at once and see if that makes a difference. If so, you might need to upgrade your internet plan to better support all of the devices. Try using the internet at different times. Remember, during busy internet usage times, internet speeds can slow down. Try using your internet at different times when fewer people are online, such as late at night or early in the morning. Schedule downloads strategically. If you need to download a large program, schedule the download so that it takes place early in the morning during internet “off hours.” This will save you time, but also allows you to take advantage of the time when the internet speeds tend to be at their fastest. Sometimes, despite trying all of the steps above, you won’t be able to solve your internet on your own. Here is some guidance for the next steps to take if the issue isn’t one that you can fix. If the issue lies with your ISP, then the troubleshooting steps won’t work because there’s no available internet for your computer to use. If you suspect that your ISP is the source of the problem, you’ll need to contact the company directly. Generally, going to a local office in person gets you faster (and sometimes better) results than calling into your customer service or technical support department. Of course, this is only an option if you do have a local office, and if you have the time to make a trip to the office. Whether you end up calling your ISP or going to the office in person, always keep track of your case number. You’ll need this information if you have to follow up about the issue, and it can help to save you time during future inquiries. If your internet is down for multiple days, most companies will give you a credit for the downtime, but you may have to ask for it. Track the days that you are without service, then contact your ISP to request credit for the days. Suspect that the problem lies with your router? 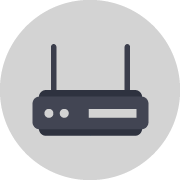 Many routers have warranties that may cover their replacement. If you’re working with a new router, then contact the manufacturer for help, not the store where you bought the router. You may need to replace the router entirely, though a manufacturer may also offer to repair a router if it’s under warranty. When you buy a router, always save your receipt in case you do need to pursue help while it’s under warranty. When it comes to finding IT support, start by visiting your local computer repair shop. 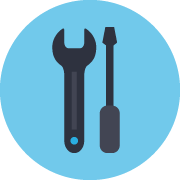 The shop may even offer these tech support services, but even if they don’t, they’ll most certainly know of local providers. Still need ideas? Then turn to your local business directory or Google for some help. Smaller businesses tend to be more affordable and are more likely to do home visits than larger IT businesses are. Hopefully these troubleshooting tips can help you to speed up your slow internet so that you’ll be back to browsing in no time. We looked at a few of the ISP speed tests out there to see which service providers are offering reliable speed test tools for their consumers. As running an internet speed test is a great way to check if your connection is actually running at the promised speed, we wanted to know, which companies have an offering that actually lets you do that.